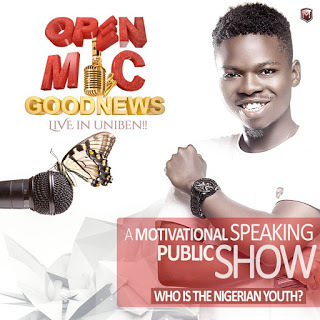 UNIBEN GIST: OPEN MIC BY GOODNEWS: A motivaional Speaking Public Show. 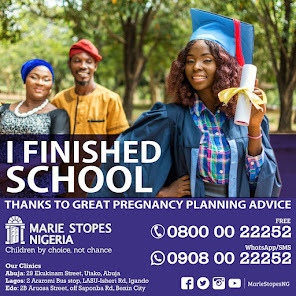 See details!!! OPEN MIC BY GOODNEWS: A motivaional Speaking Public Show. See details!!! just got bigger and it will be a public speaking/motivaional show. TOPIC: Who is the NIGERIAN YOUTH??? This motivational speaking public show will be attracting dignitaries from all over Nigeria to UNIBEN. it will feature 3 great speakers in Edo state (anticipate the Speakers) and lots of entertainment.